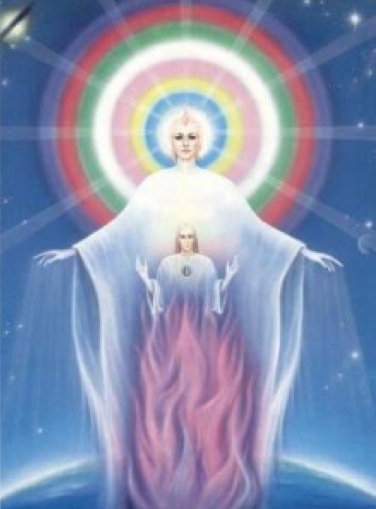 Our higher self is our best guide on our spiritual journey. Our higher self will guide us in our best interest. Unlike teachers, gurus, and even others on their spiritual journeys, there is no ego to detract from the guidance for self gain, self promotion, possession, superiority, or recognition. Many have come to me for advice, and I always encourage independence, self reliance, and self love by relying on our higher selves for true guidance. I am merely here to inspire and encourage, but cannot serve as others true guides. 1) Sit quietly in a peaceful room with your cell phones, computers, and all electronic equipment turned off. Take long deep breaths, by inhaling and exhaling completely. Begin to focus on your breathing and envision an image in your mind. I use blue skies and clouds as my image. 2) As your thoughts enter your mind, release these thoughts as if watching clouds pass by in the sky. With each thought that enters, picture each thought as a cloud and just observe it passing in the sky. 3) When your mind has no more thoughts entering which may take several minutes to do, ask yourself a question that you want to know the answer. 4) Listen for the answer. You will know it’s the higher self speaking when it is not the answer you may expect. For example, you may ask, “should I take this new job even if it requires moving alone to a new city where I know no one?” The answer you may hear may be “yes,” even if you fear being alone without a support system. Begin practicing this until you can access your higher self instantly during your day without doing the above steps. His whispers changed my life and activated my kundalini. I believe my thoughts are usually sent by him. l have not heard his whispers in a while, probably because l am not yet completely done mastering his whispers. his first whisper was when l really needed it and it felt like l was a baby with my mothers arms around me. Once some deeply seated wound/emotions are released upon healing heart chakra, bliss rises. It lasts for a few hours. What is the the most effective principle or technique to feel this state of bliss for longer periods of times? Eventually, can one raise it intentionally or live in it? When you are in that state, you feel like you found that which you had lost long before, and you don´t have any more question, you just want to be. Thanks. It has been lovely to stumble onto your blog today. Engaging in regular meditation is so beneficial. Many blessings to you! You are so welcome, my friend. Blessings of love!